The Tennessee House of Representatives voted Tuesday to strip the money from next year’s state budget. The sum had been earmarked to go toward planning for Memphis’ bicentennial celebrations next year. As NPR’s Laurel Wamsley reported, the statues were removed last December after the city found a legal loophole. 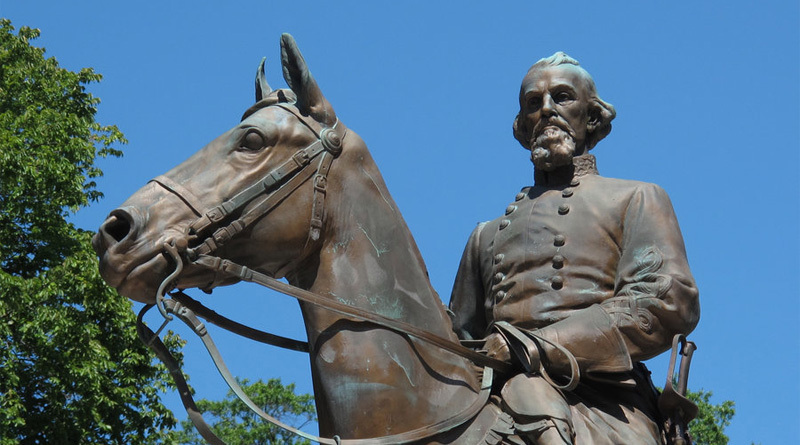 It sold two of its city parks – one with a statue of Confederate President Jefferson Davis, the other featuring a statue of Gen. Nathan Bedford Forrest on horseback — for $1,000 each. The surprise move sparked lively debate among lawmakers and came just before legislators were to give final approval to Gov. Bill Haslam’s $37 billion spending plan. It angered several Memphis lawmakers, including Democrat Raumesh Akbari, who blasted the decision on the House floor.